In the guest post “Diary of a Beginner Lace Knitter” in September, I made a simple pattern for my friend, Kati. She is a crocheter looking to venture into lace knitting. I have since tweaked that pattern (based on Kati’s experience) to create the Candied Apples Shawl. It is now available in my knitting pattern store for everyone to download and enjoy! The Candied Apples shawl is an asymmetrical piece that is knitted sideways. It has a zigzag edge on one side, which makes for an interesting shawl. It also features a combination of basic stockinette stitch and lace knitting for a more intricate texture. The finished product is longer than a traditional triangle shawl, which can also be wrapped around the neck like a stylish scarf. This shawl can be worn any which way you want. Use it to accent any outfit you are wearing, be it a simple jeans and t-shirt. Hang it around your neck, tie it around your waist, or wrap it around your arms. If you use light weight yarns, it can be tied around the handle of your handbag when it is warm, so you can easily carry it with you anywhere you go. Just untie it from your purse when it starts to get chilly. Designed for beginners in lace knitting, The Candied Apples Shawl pattern is easy to understand. The diagrams provide a visual representation of the stitches and the abbreviations are explained clearly. If you are a crocheter who is keen on learning how to knit, then the Candied Apples Shawl is perfect for you. With this pattern, you can learn a few more knitting techniques in addition to the basic cast-on, knit, and purl. The knitting skills you need (or will practice) for the Candied Apples Shawl pattern is flat knitting with the basic knit and purl, simple decreases, knitting the same stitch in front and back, and binding off with elastic method. For advance and intermediate knitters, this can be an easy knitting project, which is perfect if you are rushing to knit a shawl to give your loved one this Christmas. The stockinette stitch between the lace sections lets you sit back and relax your hand from time to time. This shawl can be knitted while watching TV. This shawl pattern is also adjustable, so that you can knit as many rows as you want and make a longer shawl. This is a great way to use up your yarns, too! You can use variegated yarns, solid color yarns, or busy yarns — any yarn will look great with this shawl. If you want to make a warmer shawl for winter, use thicker yarns with knitting needles that can give you a balanced tension in stockinette stitch. 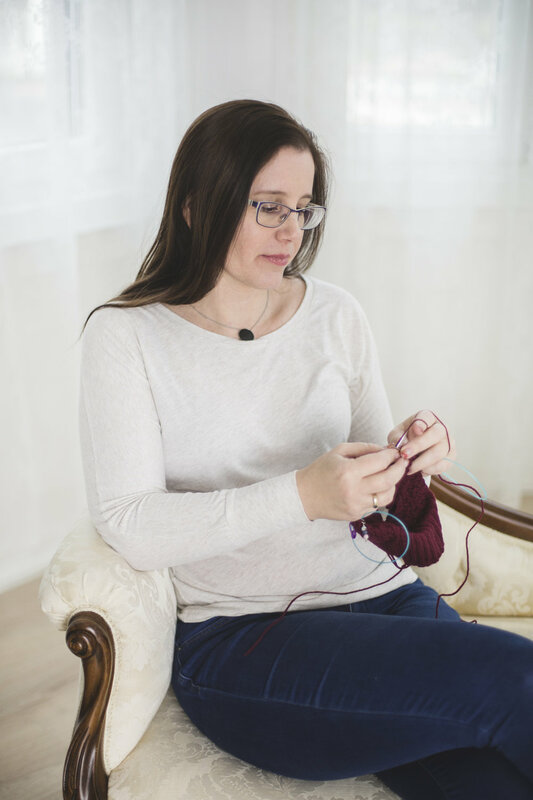 Because it uses flat knitting technique, you can use Double Pointed Knitting Needles (DPN) or circular knitting needles with a cable long enough for the widest part of the shawl, approximately 80 centimeters. Download the Candied Apples Shawl pattern now, so you can start knitting in time for Christmas. This is a perfect Christmas gift for a friend, family member, or special someone.